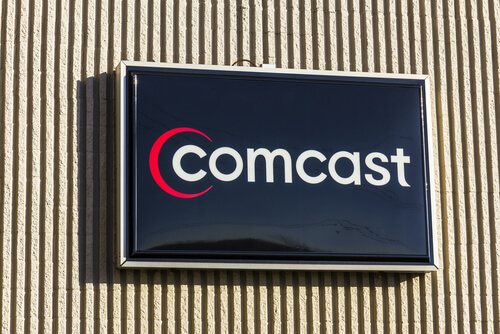 Comcast plans to obey net neutrality rules as well as introduce paid fast lanes. Go figure. What would a broadband service provider like Comcast do after the FCC net neutrality repeal? Well, for one thing, it won’t throttle or block online content. But what Comcast may do is have a plan for paid prioritization in the near future. Of course, you shouldn’t take any broadband service provider on their word. For many past years, the company had promised the public that it wouldn’t ever violate the sacred principles of issues such as net neutrality. Comcast, in the past, had also made it clear that it would continue to uphold those principles irrespective of whether the US government imposed net neutrality rules or not. What did that mean for the user? In the simplest of terms, it meant that Comcast would not throttle or block lawful internet traffic. Comcast’s promise also meant that the company would not create and operate fast lanes. Broadband service providers have planned to do that in order to earn or rather collect tolls from the online world. Or more precisely, from online web companies. Of course, these online web companies, in turn, also want the Comcast network to provide them with priority access. Previously Comcast had argued that the FCC, Federal Communications Commission, shouldn’t really reclassify internet broadband service providers in terms of common carriers. Of the handful of ways companies such as Comcast could avoid giving consumers their rightful benefits, this was one. Readers who don’t already know should understand that if the FCC classifies internet broadband providers as common carriers then these broadband providers have to carry out a set of activities. Think of the “common carrier” label as a designation. It forces internet service providers to treat all of their customers in a fair way. Comcast and other internet service providers have also claimed that this Title II “common carrier” reclassification wouldn’t really matter. Comcast will follow net neutrality rules if the FCC can guarantee there are no net neutrality rules. Because organizations such as the Federal Communications Commission don’t really have to set laws that enforce net neutrality rules as internet service providers won’t violate them anyway. At least that is what internet service providers such as Comcast want us to believe. The fact is, if no one is enforcing these net neutrality laws, there is always a chance that internet service providers would take matters into their own hands and violate some and/or all of the net neutrality principles. But all of that talk isn’t really worth anything. Because we have Ajit Pai heading the Federal Communications Commission. And Ajit Pai is a Republican. Since Ajit Pai, a Republican, has regained his position as the Chairman of the Federal Communications Commission, Comcast has changed its stance. Don’t get us wrong, Comcast still believes, or it says it believes, that it won’t engage in activities that block or even throttle internet content. But interestingly enough, it hasn’t said the same about paid prioritization. In fact, some media reports say that the company has actually dropped its net neutrality promise as far as paid prioritization is concerned. Now, Comcast has started to use vague terms to describe its commitment to net neutrality laws. The company recently stated that it won’t really discriminate between lawful content. It also said that it won’t impose paid prioritizations that are anti-competitive. Those who have followed Comcast statements in the past would know that they have changed their words. And these modifications suggest the company may as well offer online fast lanes, paid ones, to online services and other websites. We all know that the Federal Communications Commission’s Chairman Ajit Pae will certainly eliminate all the remaining net neutrality rules sometime next month. So what would happen when the Federal Communications Commission drops all rules and regulations that go against paid online fast lanes? Well, no one can tell you what would happen. But we can say that if the FCC indeed does so, then Comcast would have a free rein whether it wants to obey net neutrality principles or not. Internet service providers all over the country would have the power to decide if they consider a specific prioritization package or deal as anti-competitive. About a week ago, Comcast official Twitter account also made a statement about the issue. The company’s Twitter account said that they would not throttle, block or discriminate against online lawful content. Then the company mentioned that they would continue to make sure that their policies remain transparent and clear. For all of their customers, that is. Moreover, the company said that they would not change their commitments to net neutrality principles. Has Comcast Every Offered Paid Prioritization Deals? Comcast believes in net neutrality. And in paid fast lanes. According to the company itself, no. Readers should try to understand that Comcast is actually the biggest, largest, home broadband internet service providers in the United States of America. It has over 23.5 million subscribers as far as residential internet connections go. The company had never offered any paid prioritization deals. He reiterated that the company didn’t do then and did not have any plans to enter into any given paid prioritization deals. In other words, he made it clear that Comcast would not participate in creating online cast lanes with the help of content owners. Fast forward six months and again Comcast made the same promise. The company stated that they didn’t prioritize internet traffic. Comcast also did not have any plans for paid fast lanes. The company mentioned that it never had any paid fast lanes and neither did it have plans for creating paid fast lanes. Moreover, the company also said that Comcast agreed with the United States then-President Barack Obama that the internet should not have paid prioritization lanes. Even the harshest critics of Barack Obama would agree that the circumstances today are vastly different from 2014. The most obvious change is that we have Donald Trump as the President of the United States of America. The other less obvious change is that we have Ajit Pai as the Chairman of the Federal Communications Commission. Moreover, back in the day, the Federal Communications Commission clearly had made plans to enforce at least some form of restrictions and regulations on paid prioritization. We also know that in 2014, internet service providers had made all the effort they could to avoid that “notorious” Title II classification. In fact, Comcast had actually agreed to a limitation agreement on paid prioritization. It did that in the form of a condition that it signed on the company’s purchase of another company, NBCUniversal, back in 2011. That agreement which Comcast signed as conditions for the NBC Universal agreement, will expire next year in September. And we already know that Ajit Pai has his proposal ready to undo the US internet service provider’s Title II classification. Ajit Pai’s plan will also destroy the remains of all the net neutrality rules in the country. In other words, Comcast has set itself up real good politically as well as legally. The FCC’s got Comcast’s back, hence it can just go ahead and implement its plans for paid fast lanes. It has a huge opening to actually back off and retreat from its promise. If Comcast plays its cards right then it can backtrack partially and not even let anyone know about its earlier net neutrality promises. Media reports evidently saw Comcast changing its strategy since the beginning of July this year. 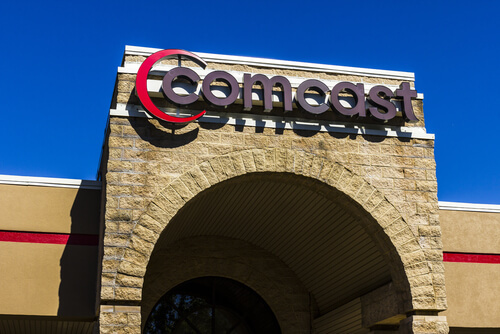 To put it another way, in July Comcast announced that it would urge the Federal Communications Commission to overturn its existing Title II order. The company stated that it did not and would not block, discriminate and/or slow down lawful internet content. Comcast did, however, cleverly omitted the part about its previous promise that the company would also avoid all types of paid prioritization. Comcast also said back then that the Federal Communications Commission could just eliminate the Title II classification. Along with full and complete transparency. And how have things changed since then? So let’s not even talk about what the FCC would do to ensure that there is no paid prioritization. And thus, Comcast has all the opportunity in the world to actually pull back from its earlier promises even further. In fact, it could outright ignore all of its statements in favor of net neutrality laws. With that said, some media reports remain hopeful. Hopeful that FCC’s new plan won’t allow internet service providers to throttle and/or block lawful online internet traffic. Or even impair their user’s online activity. NCTA didn’t make any promises as Comcast did on issues such as paid prioritization. Back in the year 2014, the NCTA clearly mentioned that no internet service provider offered paid prioritization. The obvious question that arises from this is how will the company implement these paid fast lanes. When reporters from Arstechnica tried to contact Comcast representatives to ask them about how the company defined its anti-competitive paid prioritization, they didn’t get any response. Well, they did get a response. But not for their question. The Comcast spokesperson simply referred the reporters back to a previous official Comcast statement on the issue. In other words, the Comcast representative did not answer their question. For what it’s worth, you should take a look at Comcast’s filing in July 2017 with the Federal Communications Commission. In that filing, Comcast gave some significant hints on how the internet service provider would go about implementing paid prioritization. The company wrote in its filing that the Commission should also bear in mind that the current situation warranted a more flexible thinking and approach to paid prioritization. Comcast also said, in the filing, that approach would provide more benefit to the US public. To take an example, a particular telepresence service which was tailored for people with hearing impairment required a high definition, or HD, video. This HD video, in order to help those users, must have sufficient reliable quality. Thus it would enable those users to perceive subtle finger and hand motions and that too in real time. Comcast also said that paid prioritization could have other more compelling online applications as well. Especially in industries such as telemedicine. Moreover, paid prioritization could have application in the autonomous vehicles industry as well. Because those vehicles would require enough speed for instantaneous data transmission. Comcast cautioned the FCC that any black latter prohibition on all paid prioritization deals could, in reality, stifle US innovation. And they needed to do the opposite of that. 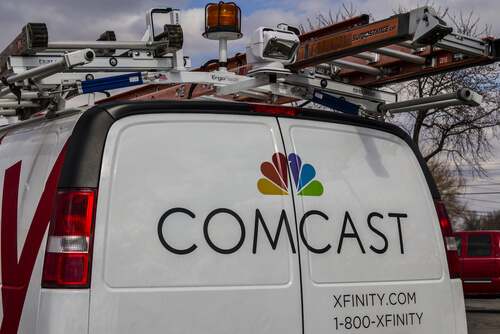 Comcast also talked about commercial arrangements which entailed the paid prioritization deals that could benefit such traffic. According to Comcast, autonomous vehicles would require a fast transmission medium. And paid prioritization deals would ensure that this industry would get the low latency levels it needed to achieve their goal of high-level data quality. 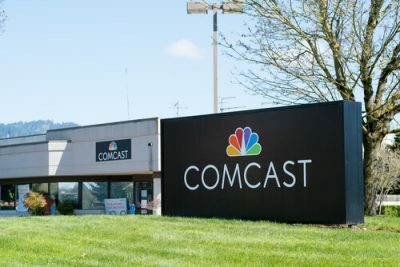 Comcast also said that if the US wanted to make sure that these industries and services thrived, then paid prioritization could provide the necessary arrangements. With that said, Comcast did actually stand by its own 2014 official statement. That statement supported a rebuttable of a presumption which went against exclusive paid prioritization. The rebuttal talked about exclusive arrangements and other types of arrangements which prioritized any broadband service provider’s own affiliate network fo content vis-a-vis unaffiliated content. As mentioned before, now Comcast says that paid prioritization deals would actually benefit applications in the telemedicine industry. Current laws and regulation already give allowance to internet service providers to provide services and industries with isolated network capacity which would deal with examples such as telemedicine applications. We have already mentioned that. also get access to isolated network capacity. This is the exception that actually exists along with current net neutrality rules. Moreover, current net neutrality rules also do not ban the use of CDNs or Content Delivery Networks which optimize internet content delivery to the very edge of a given internet service provider’s network. Some users may find it surprising to know that in 2014, Comcast actually debuted a CDN service of its own. That CDN placed video content much closer to their customers’ residences. So what does Pai’s plan do differently? Well, when all’s said and done, Ajit Pai will use the FCC to eliminate those net neutrality rules. And hence will allow internet service providers to provide high speed over their networks’, what the industry calls, “last mile”. The “last mile” actually leads internet service providers directly into their consumers’ houses. Moreover, Pai’s plan will also enable internet service providers to offer fast paid lanes to any and all types of online businesses. Groups that support net neutrality rules have previously said that such plans would harm companies that don’t have the finances to pay tolls for paid prioritization to internet service providers such as Comcast. Without current net neutrality rules, internet service providers would have the opportunity to favor certain players. Or certain e-businesses and websites. They would prefer them over other business. Hence business that would pay for the fast lane privilege would get an undue advantage over others. Moreover, without current net neutrality rules, internet service providers might even slow down or even block non-paying websites.